HMG Creative offers a semi-annual auditing service that takes care of all your WordPress update needs in one safe and comprehensive swoop. Installing the latest WordPress updates on a regular basis prevents harmful security breaches, plug-in malfunctions, and avoids expensive design fixes due to major update jumps when not taken care of in a timely manner. We actively monitor all WordPress updates and any critical releases and/or patches are applied to your site immediately. In addition, every 6 months our team will scour your WordPress site for any features, plug-ins, and themes that have new versions available. We’ll make the updates safely, ensuring your content is not disturbed and everything functions correctly on the newest version. We start by making a complete backup of your entire site – database and files. We manually install the core updates to WordPress, bringing your site to the newest stable version. We update any plug-ins and extensions that have available new releases, and finish with a complete check to ensure everything functions and runs smoothly on the new version. While there is no set schedule for version releases, WordPress is an open-source platform that is constantly being worked on and improved upon by thousands of developers across the globe (one of the many reasons we love it!). Updates can be released for specific plug-ins and themes or for the platform overall, and we believe a 6-month timeframe allows for beneficial version updates to be released and installed in a timely manner. We do an initial audit of your WordPress site the month payment is received, and your 6-month schedule will start after that. In the case that bugs or broken pages occur during updates, we offer 1 hour of compatibility support in which we’ll do our best to solve the issue. If the problem persists, we’ll roll back the site to the functioning version and contact you with a plan of action to address the issue moving forward. Need more info? 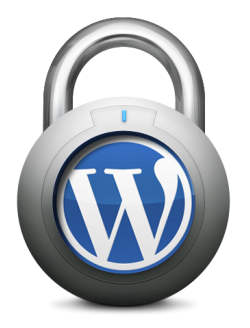 Let’s chat about how we can keep your WordPress secure and running smoothly!